The brand new OPTIPLEX NEXUS 3015 CO2 laser-cutting system combines high performance with a compact and flexible design, ideal for fabrication job shops looking to expand into laser-cutting services. The OPTIPLEX NEXUS was developed to fulfill the need for a laser that provides significant performance features at an economical initial investment. It is available in single fixed table, manual table, or automated two-pallet configurations which are modular and can be upgraded in the future. The system integrates Intelligent Setup and Monitoring Functions to significantly simplify operation and reduce operator dependency. It also has the flexibility to integrate with Mazak’s large range of material automation solutions including load/unload and flexible manufacturing systems. The OPTIPLEX NEXUS can process sheets up to 5 feet by 10 feet and is currently available in a 2.5kW configuration. Single fixed table, manual table or automated 2-pallet configurations available. Helical rack and pinion positioning system features high throughput and rugged construction. 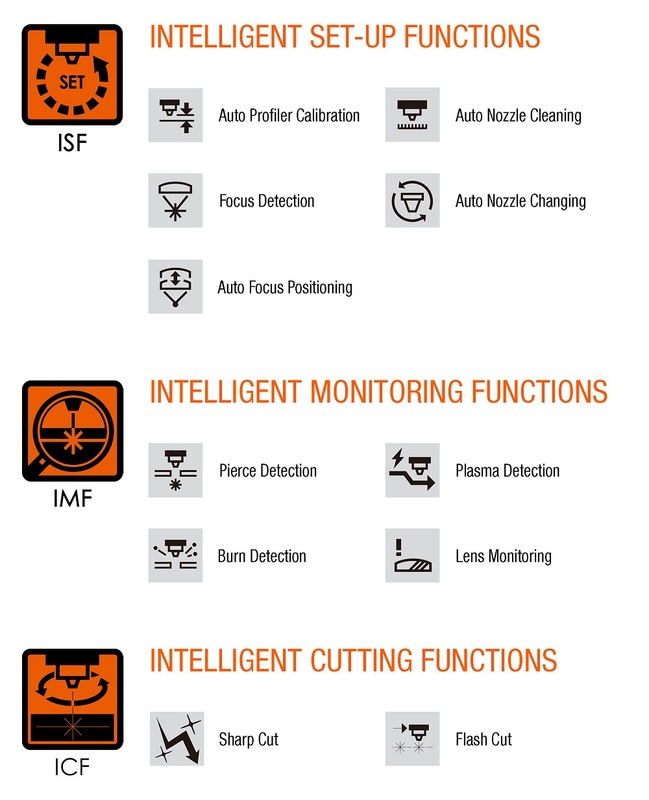 Works with Mazak’s large range of material automation systems. New Preview 3 control with 15” touch screen and integrated tech tables to simplify operation. New Type 10 resonator with ECO Mode lowers operating costs.